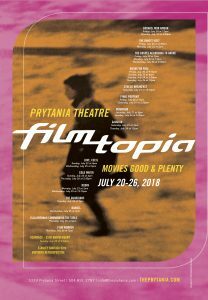 The Prytania Theater is launching a new, week-long film event, Filmtopia, and it goes from July 20th to 26th. The lineup consists of 22 titles, both recent releases, and classics including Love Cecil, Zydeco Breakfast, Ella Brennan: Commanding the Table and a Stanley Kubrick Retrospective in honor of the director’s 90th birthday! New Orleans Film Society members get $2 off of Filmtopia tickets. Not a member yet? Join us here, it takes only a few minutes. It’s $30 for everyone under 30 and we have reduced rates for film professionals and seniors.